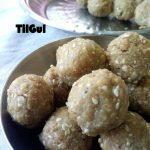 Til Laddu|Sesame seeds laddu are called Tilgul in Marathi and Ellu Unde in Kannada. 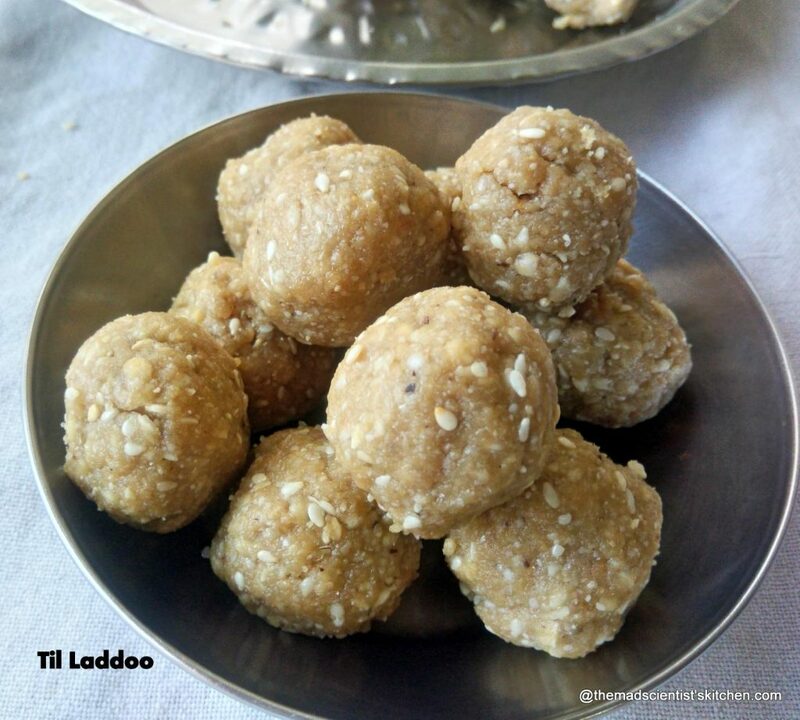 Same name for the same delicious ladoos traditionally made for Makar Sankranti. Tilgul ghya and good bola! 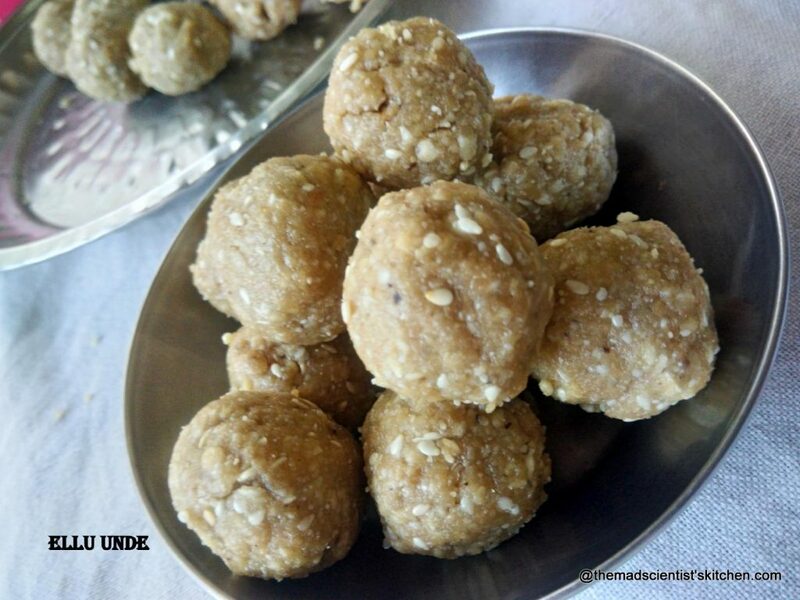 Of all the recipes I like these as it does not involve making hot syrup and then rolling the hot balls into small spheres called ladoo, laddu or unde as traditionally made for Sankranti! In the past, I have made these using mortar and pestle my Mother-in-Law’ old one. Since I have not maintained the mortar and pestle, it is on its last leg of life. So now, I have to make these laddus in the mixer. Me happy as this takes minimum effort for the same result. So basically, this is the same recipe as here only the method is different. In the mixer jar with the dry blade, make powders of til/sesame seeds, ground nuts, dry coconut and cardamom. I did not grind all the til/ sesame seeds. Just mixed them up with the powders. Transfer to a plate or a bowl. Add the jaggery in a mixer and run it once or twice. The jaggery will be sticky. Add about 1-2 tablespoons of the dry powder and run the mixer. Remove to the same bowl in which you have kept the dry powders. Add the dry powder once again and run the mixer. This will get all the jaggery out. Knead the powders in the jaggery until it forms a dough. Pinch small balls of the dough and make balls. For Makar Sankranti, this seasonal sweet of sesame seeds and jaggery is made traditionally. In the mixer jar with the dry blade, make powders of til/sesame seeds, ground nuts, dry coconut and cardamom. I did not grind all the til/ sesame seeds. 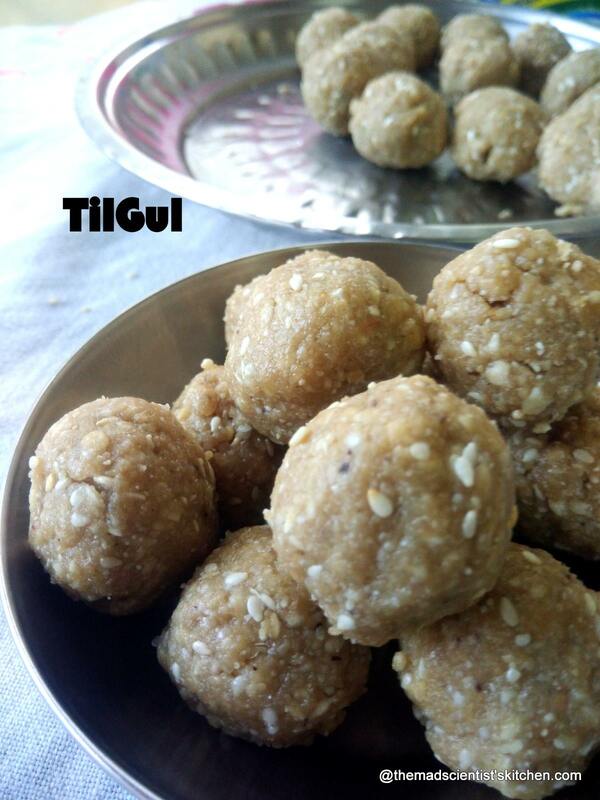 The groundnuts, sesame seeds have to be cold when making these ladoos.